The Sandbridge Beach Civic League (SBCL) was formed in 1974 to keep its members informed about matters concerning the general welfare and civic betterment in all fields such as cultural, educational, recreational and social as well as the community physical aspects of Sandbridge Beach. The SBCL also provides a forum for members to express their views on matters that come before it during monthly meetings. The SBCL meets monthly with the exceptions of July and December. Meetings alternate between the third Saturday of each month at 10:30 a.m. and the third Monday of each month at 7:00 p.m. 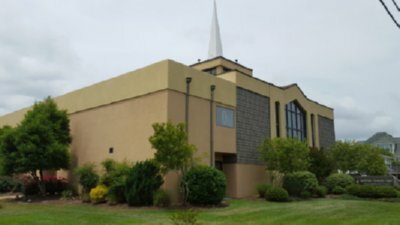 Meetings are held at the Sandbridge Community Chapel, either in the Sanctuary or the community building across the street. Membership eligibility is extended to adults who own property in Sandbridge or who are residents of Sandbridge Beach. Residents are defined as persons residing in Sandbridge for at least six months of the year. Annual dues are $20 per year per household or property and include up to two adult members of that household with each member having one vote. Annual dues are not prorated. The SBCL fiscal year begins July 1 of each year. Click the button below to join the Sandbridge Beach Civic League or renew your membership!